Great couple of days at VIR with Trackdaze, driving solo, hanging out with my buddy Mark Dissen. Still getting the hang of the car, and remembering how to drive fast. Made tons of progress in two days; cut my lap time by over 10 seconds. Still probably have 10 to go, as the car is setup now. But I’ll probably have MOAR POWAH next time I go there. It was mostly due to my awesome new shoes. Here’s the best lap of the two days – my last full lap in session 2 yesterday. I set four personal bests in the last four laps of that session… culminating in this 2:23 lap. I was going almost 130mph when I started braking, so I wasn’t doing much less than that when I upset the car and went into the slide. I slid a LONNNNNNNG way. Epic skid marks. Pro tip: Get mostly done with your threshold braking before taking a hand off the wheel to downshift. I will NOT make that error again. Got lucky. 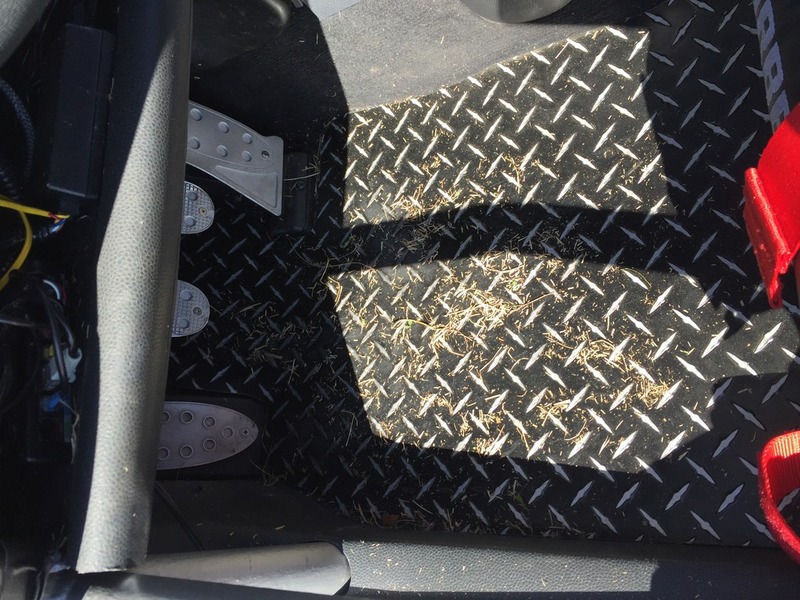 My car looked like some prankster spread an entire bale of straw in it. 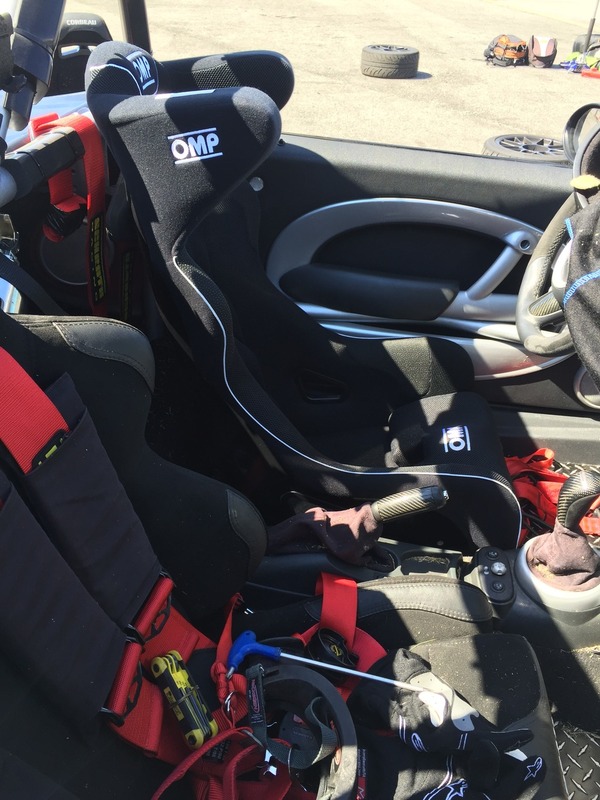 I feel much less likely to die an early death, when sitting in that seat. 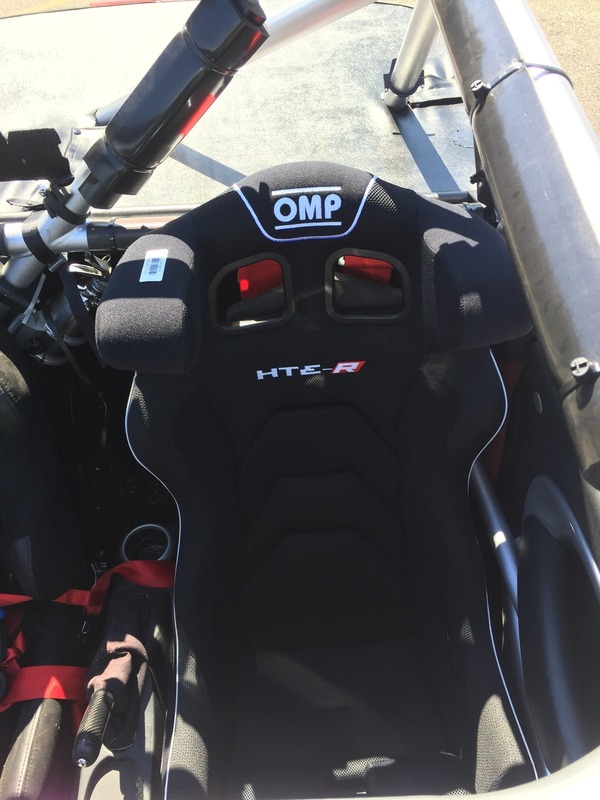 OMP HTE-R XL (big boy size). Their nicest fiberglass shell seat. 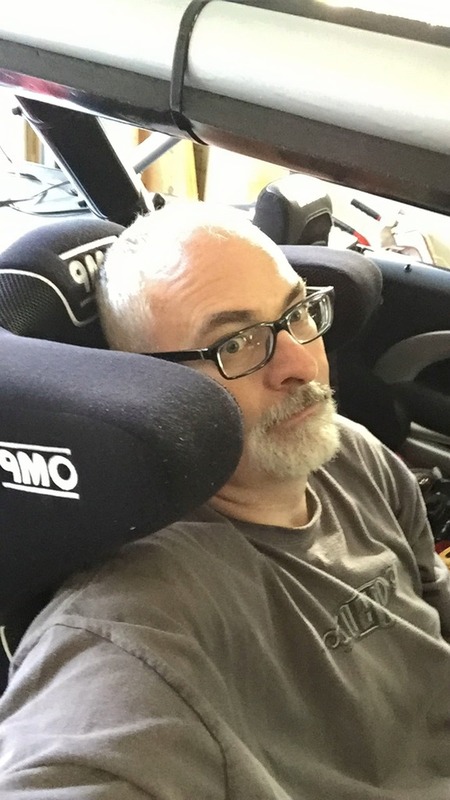 I had been looking at halo seats recently, and had got in the TMI shop at VIR Monday and tried out different seats. As soon as I sat in this seat, I knew it would be mine, it was just a matter of time. Well, nothing drives urgency in purchasing safety gear, like sliding sideways at over 100mph. 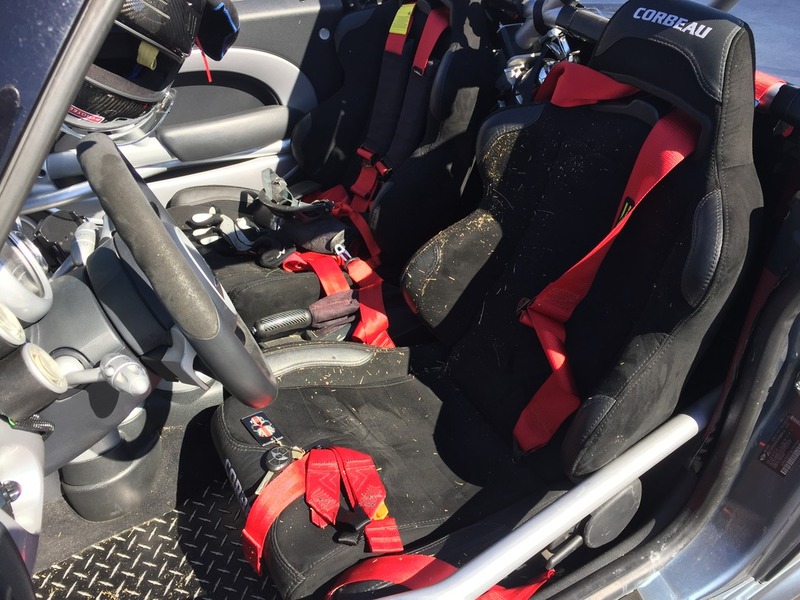 I’ll probably continue to use the Corbeaus for the street, and just put this seat in when going to the track. 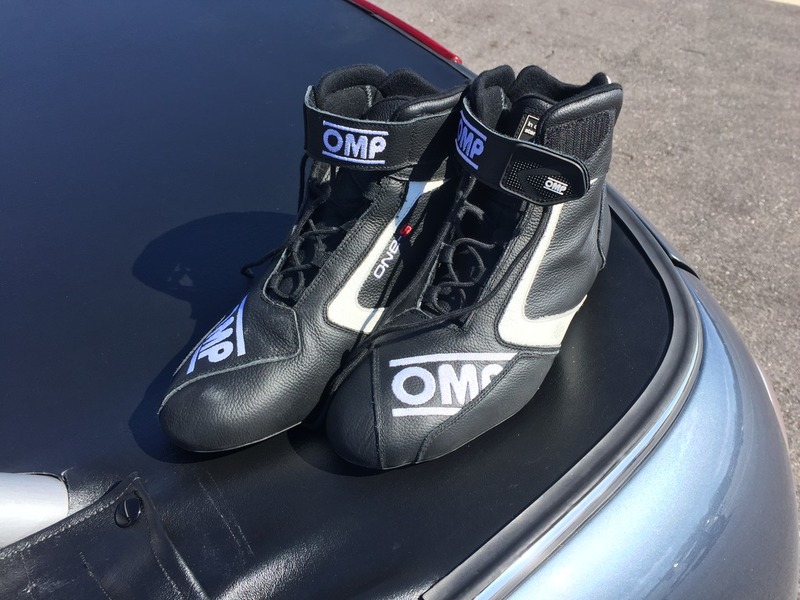 But I might leave it in and get a matching non-halo OMP WRC-R XL for the passenger side (which I could swap to the driver side when driving lots on the street, like at MOTD). Took it easy for half of the next session, then loaded up and headed home, while still in one piece. It was a great couple of days. The car handles very, very well and is very, very fast. I need to tweak a few things on the alignment and suspension, adjust my splitter a bit, reduce my rear brake bias… but the car is almost perfect.